Episode 28 Doctor Money Matters. Welcome to another Doctor Money Matters episode. 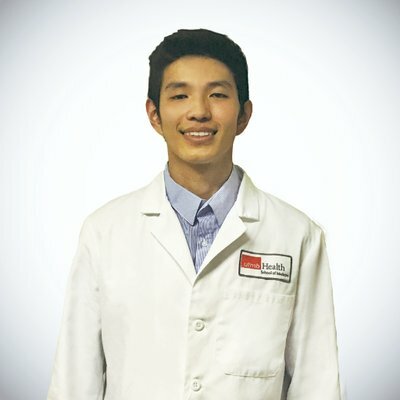 In this episode I talk with Esaias (Kayee) Tong, a medical student in TX who is a cryptocurrency expert and recently wrote a post on passiveincomemd about paying for medical school and college with profits from cryptocurrencies. I have mentioned my thoughts about bitcoin previously but let me reiterate that I don’t feel like its an investment rather a speculation. I am not an investment professional, and this represents my opinion alone. No one knows what will happen with Bitcoin or the other coins out there. Currently it is around $9k having hit near $20k in January 2018 and down to around $6500 a few weeks ago. Do I regret not buying it when I first heard about it in 2012? Absolutely but even then it was purely speculation. The mania from around the 2017 holiday season has died down but that was the closest I have seen to the mania surrounding tech stocks in the late 90s. During the 6-8 weeks of Dec 2017 and Jan 2018, the various social media finance groups were littered with people talking about buying cryptocurrencies. The volume has now died down quite a bit, but still questions and concerns remain. The basics of the blockchain, and how he started with bitcoin. He also created a bitcoin mining operation and also ran a bitcoin exchange. His advice on speculation with coins now. He mentions ICO which is an initial coin offering, similar to a stock IPO. An ASIC rig is an Application specific integrated circuit. Basically a dedicated machine for mining only. Mr. Tong is definitely an entrepreneur and once had a job offer from Google which he turned down prior to starting medical school. It’s amazing to see how he is able to balance his varied activities along with the demands of medical school. I expect we will be hearing from him in the future. Please consider joining the Doctor Money Matters Facebook group. Thanks for listening and please leave us positive reviews and continue to share this podcast with your colleagues. Episode 39. Robert Feldberg, MD — Negotiation skills for physicians.